It’s almost Thanksgiving and you are looking to drive Holiday Retail Sales. Take advantage of some of these great à la mode Opening Order Offers and increase your profits while introducing some eco-chic products to your spa guests that will become best sellers! 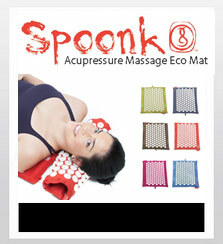 The Spoonk mat will help to increase circulation, remove stiffness and tension, and induce deep relaxation and sleep. It’s convenient, washable and portable with nothing to plug in, nothing to heat up. With our opening order of 12 mats, receive 1 free travel mat for demonstration and 2 free travel mats for your staff to use! Once they use it, they will love it and Spoonk will become one of your top sellers! Perfect for Holiday gift giving too! View the Spoonk Product Collection and Contact Us if you would like more information, have a question or would like to place an order. 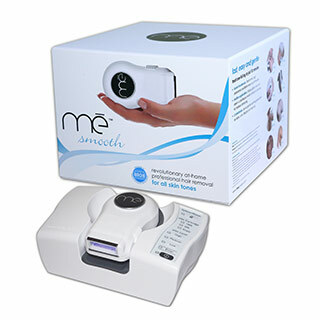 the big hit of the recent NY event... the exciting new laser hair removal system (Me Smooth)! The Clear+ and the Zap are the first and only devices to combine powerful bacteria-killing blue light with sonic vibration and gentle warming for clinically proven clearing results. Together, these three technologies deliver unsurpassed speed and effectiveness for calm, clear, beautiful skin. To ensure your sunscreen line truly delivers on its’ promises, check the ingredient label and visit this site for rankings in efficacy and safety. 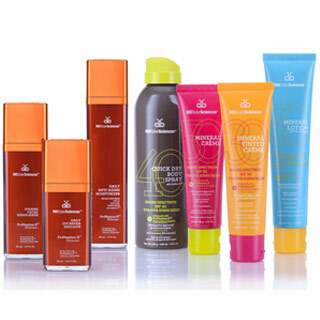 Type in your favorite sunscreen and then compare your current brand to MD Solar Sciences. Oxybenzone: a contact allergen and studies have shown that it can accumulate in the body and affect the estrogen hormone level. Octinoxate: a contact allergen that also effects marine life and destroys coral reefs. High SPF’s: FDA calls these products "inherently misleading." Vitamin A: This ingredient, commonly added to sunscreens, moisturizers and lip products, could actually increase your risk of skin cancer. At à la mode, we continually source products to add to our inspiring collection of emerging, trendy and eco-chic retail products. The most organic, natural and effective solar line we have found is MD Solar Sciences. Created by Dr. Robert Friedman, a dermatological oncologist and one of the founders of the “A-B-C-D-E’s of Melanoma”, Dr. Friedman created this line of solar and skin products to prevent melanoma in a luxurious, non-greasy texture that is great for all ages. All of MD Solar Sciences products use the safest ingredients, rate highly (carry the recommendation from the EWG and The Skin Cancer Foundation) and most importantly, feel great on the skin and do what they say, WORK! Loaded with anti oxidants, MDSS is an easy-to-display collection with great salability and a loyal following. They won the HBA award for best prestige packaging! The colorful packaging will draw attention from your guests and we have put together the attached Intro Package to get you started today! View the MD Solar Sciences Product Collection and Contact Us if you would like more information, have a question or would like to place an order. Jade Spa - Pain Relief! Massage Therapists and Nail Technicians can provide an incredible boost to your spa’s profitability with the Muscle and Joint Collection from Jade Spa’s collection of soaks and body care products. By using the products during massage protocols and pedicures, the retail recommendations are immediate and automatic. The Jade Spa products from Jadience increase circulation and remove stagnant or blocked blood and chi to prevent deterioration and injury and lead to quicker recovery. 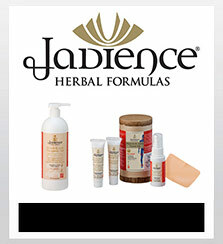 The Jadience formulas are comprised of carefully selected, scientifically-tested, all natural, organic and wild-harvested, East Asian adaptogenic herbs. And with the Jade Spa Pain Relief Collection Cards, retail is made easy! Your front desk will have the tools they need to help close your therapist’s sales. Your therapists will have the education they need to trust the products and they will have real life experience as they begin to enjoy the benefits of working with these healing products. And due to the unique composition of ingredients, Jade Spa prevents negative energy transfer! Your clients and employees will feel more energized, healthier and happier! View Jade Spa Product Collection and Contact Us if you would like more information, have a question or would like to place an order. 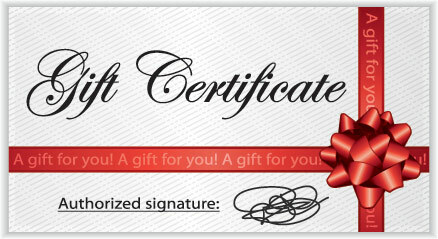 Gift Certificate Sales and Redemption Strategies? Let's talk about guiding Gift Certificate redemption. Because you may not know who the intended recipient is, it is important to PLAN and GUIDE the redemption by offering redemption incentives WITH the sale. There are many benefits to your spa when you can redeem certificates. Most obvious is that many of those recipients are NEW clients for you spa that can become regular, loyal clients. For existing clients that receive GC’s, let’s entice them to try new treatments. Particularly treatments that offer a high profit margin, set your spa apart and have a direct impact on retail sales. In fact, that last sentence above should be part of your promotional strategy throughout the year. 4. If you prefer to sell specific treatments to dollar amounts, be sure you are offering treatments that lead to retail and service enhancement options. 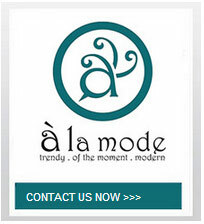 For more ideas and help with planning, Contact à la mode partners today!